Rent at the Penthouses at Presidential City ranges from $2,715 to $4,505 per month. If you can't buy your own deluxe apartment in the sky, you might as well rent it. 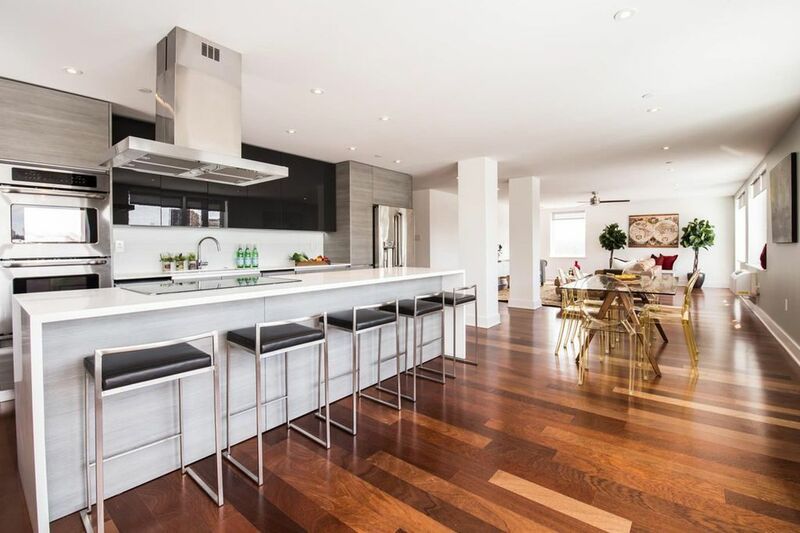 These three Philadelphia penthouses come with luxury finishes and views and have price tags to match. Tell me all about it: Not only do the penthouses at Presidential City include floor-to-ceiling windows, kitchens with luxury, waterfall islands, high-end appliances and master bedroom suites, they also provide residents with access to concierge, valet and maid services. The community's pool club also includes three pools and private, poolside cabanas. Tell me all about it: Among the luxury features of this three-bedroom Washington Square West penthouse are a 1,500-square-foot terrace (outdoor furnishings included) and an included parking space. The master suite includes heated marble floors in the en suite bathroom. The entire unit has been custom designed and the skyline views are hard to beat. The three-bedroom, two-bathroom penthouse at 1101 Locust #10C rents for $10,200 a month. Tell me all about it: This penthouse in the Reach Lofts in Fishtown features two bedrooms and two full baths, finished in an industrial style. We love the high ceilings, exposed brick and steel appliances (including wine fridge). Best of all is the stunning roof deck, which offers skyline views and expansive space for entertaining. Rent at 1701-7 Tulip St. #1 is $3,550 a month.